In landscape lighting designs, open air well or recessed lights typically house high-powered bulbs, which are positioned flush with the ground to illuminate tall trees and other large architectural structures. The main benefit of open well-type fixtures is the opportunity to exhaust heat from traditional halogen lamps to manage operating temperatures and prevent fires. 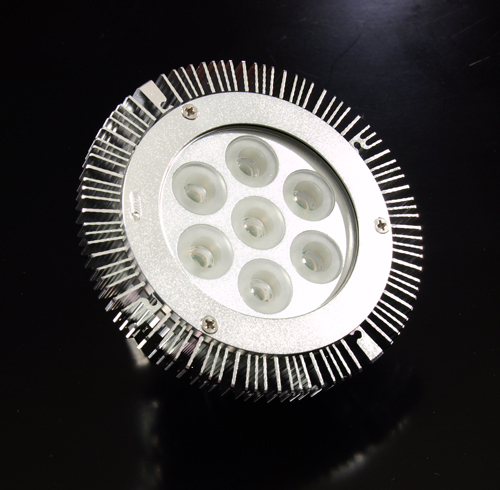 However, the exhaust vents that allow the heat to escape also allow water and other materials to accumulate in the well, causing dangerous over-heating and catastrophic failures in most LED PAR 36 lamps. 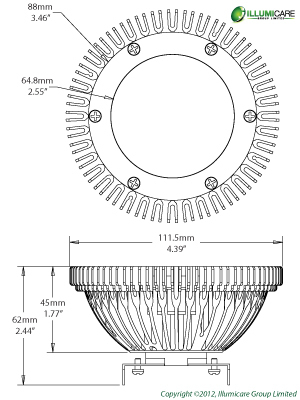 Illumicare’s new PAR36 lamps operate below 40°C (104°F), and will be offered in 3 LED (5W), 5 LED (9W) and 7 LED (13W) designs producing between 250 and 800 lumens. Each design will offer three beam spreads – 15° (Spot), 30° (Narrow Flood) and 45° (Flood) – in a 3000 Kelvin (halogen equivalent) color temperature. All of Illumicare’s IP68 Rated PAR36 lamps carry a 4-year warranty and a 40,000-hour service rating.